Well, so far, the World Cup has seen many talking points, arguably most off the field. The mass hysteria over the flight of the Jabulani football and the whurring of mutant bees around the grounds courtesy of that old friend, the vuvuzela. The French threatening a mutiny and also who could forget Robbie Earle selling his 36 tickets ( he had 400 in total for the tournament) for the Holland Denmark game to some lovely Dutch ladies. This World Cup has set a precedent for outrageous moments. We’ve had some great footballing moments in a World Cup apparently littered with terrible games if you believe the pundits. But this only makes it more fascinating, some of the ‘dull’ games have been great tactical battles, others have been exactly that: dull (England Algeria, France Uruguay being the 2 main examples). At the end of the day, if you are a pundit moaning at getting paid for being at a World Cup, then you need to re-assess how much of a prat you are. Some sides have fascinated, others have fallen flat at the first hurdle. Underdogs have shined in South Africa as well. New Zealand were unbeaten in the group stage but faced an flight back to Auckland whilst Italy became a country for Old Men after they finished bottom of Group F. Switzerland’s tight defensive unit defeated the pre-tournament champions elect, Spain and Germany once again proved their tournament mettle with some convincing displays. And of course El Diego’s faith in Saint Martin Palermo was proved right after he scored a goal. I honestly didn’t predict that. Half the fun of this tournament has been the off-screen stuff (such as watching Diego Maradona waltz around in a rather fetching monochrome number) but we now reach crunch-time. The Last 16. 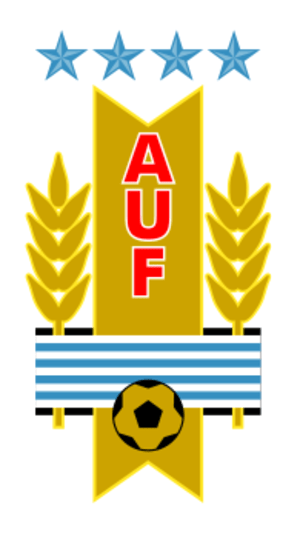 Uruguay came out as winners of Group A, after some great performances notably against hosts South Africa. The draw against France was forgettable but they improved as the group wore on and look a very good side. Diego Forlan’s form has been sensational but other players have impressed me. Luis Suarez adopted a Pippo Inzaghi role, and was constantly offside against France but grabbed the winner against Mexico. They’ve also yet to concede a goal in the groups, but as we know things get tougher from here on in. Diego Godin and Nicolas Fucile have both been impressive at the back and were responsible for several clearances in the opening game. Midfielder Egidio Arevalo has also tough tackled in the midfield. I really rate this side. South Korea finished runners-up in Group B, with the easy win over Greece being decisive in progression. They were taken apart by the glorious attacking football of Argentina however and just about got a draw against Nigeria. They’ve looked fairly tight throughout the group, minus one incident and the midfield has done a superb job in getting South Korea here. Ji-Sung Park, Park Chu Young and Kim Sung Yeung have all put in hard graft and provide the attacking threat that saw them score 5 goals in the groups. The defence was ripped apart in the last two games really and I think that will be their undoing here. A fixture that’s bound to have split loyalties for former wonder kid Freddy Adu. The US lumbered to the group winners spot after a late goal by the perennial Landon Donovan once again showing his talent. They made hard work of Algeria and Slovenia but their performance against England was fairly solid. I fear for their defence who were excellent against England but poor against Slovenia. The stand out players so far have been Donovan and Bradley. Ghana finished runners up in Group D but weren’t entirely convincing either. They were great against Serbia, failed to capitalise on 10 men Australia and showed promise against Germany. One thing is clear, Asamoah Gyan has got them this far. He’s a great striker and has shone on the biggest stage. 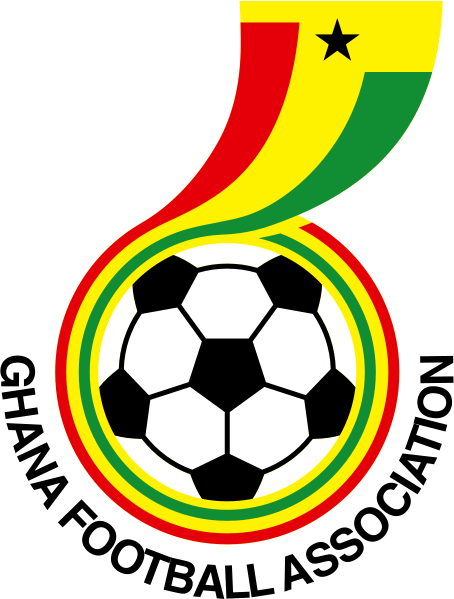 Ghana’s opening game performance was brilliant and they stunned Serbia with their passing and all-round better teamwork. Kevin Prince Boateng has played a blinder as well. Tough one to call this but I think the US will edge it. The Battle of Bloemfontein. Every superlative possible will be used in the build-up to this mammoth clash. Even Franz Beckenbauer has been mud-slinging in the past few days. England wouldn’t have wanted this tie as early as it has arrived and are slight underdogs for me. They haven’t performed at all well in the group and even the Slovenian performance didn’t impress me despite being a marked improvement. The team hasn’t gelled well unlike the Germans who hit the ground running against Australia. However they aren’t one of the favourites and that performance was aided by a Pim Verbeek tactical meltdown. Germany are beatable, but not for the reasons I’ve seen (weak centre back pairing). Mesut Ozil has been a revelation, hey I tipped him to do well beforehand, but other players have excelled as well, notably Friedrich, Muller and the international men of mystery, Lukas Podolski and Miroslav Klose. I could probably do a blog about this game alone now I think about it, but the key area for me is who is going to stalk Ozil. Also if service to Klose is limited then, England could win this. This match is the one I’m most looking forward to, without being incredibly tense throughout. Both sides were the group stage pioneers in terms of fluid attacking football. Argentina boast world class talent in their front-line whilst Mexico’s team built up impressively from the back. Argentina destroyed the rest group pretty much with the arsenal of Messi, Tevez, Higuain and others. But they weren’t without fault. The right hand side of the defence looked very ropey, particular Jonas Gutierrez, who isn’t a right back. Martin Demichelis had his moments of absolute idleness against South Korea, and he’ll hope that it doesn’t happen again. Mexico looked reasonably strong at the back, especially off the ball which allows Rafael Marquez to support the centre backs, making them a fortress difficult to penetrate. Gio Dos Santos has been quite good too, making me wonder whether he could hack it at Spurs. This will come down to Veron for me. If he’s on form, Argentina will walk this game. If not they may need extra time. I’ll plumb for the former option. Well this was a minor turn up for the books. Not for Holland, they were expected to win the group but they’ve not exactly set the world alight. It took them a while to break down all three teams, and I think without Arjen Robben they lack pace and width. The turn around against Denmark came through young winger Eljero Elia and that injection of raw energy broke the Danish stronghold on the game. If Robben is back, I think Holland will motor and it worries me that they haven’t hit their peak yet. Slovakia have blossomed. They were woeful against New Zealand and Paraguay. But against Italy they looked a much better outfit, mainly because of the shuffling of the team allowing Marek Hamsik to do what he does best and move further forward, becoming a real threat in the process. Robert Vittek was also impressive against the aging Italian stallions. I feel Holland have enough to see off Slovakia. It’s a question of whether the Slovakian defence can handle pace, and I don’t think they can. Still this tournament has proved a great one for them. This mouth-watering South American clash will indeed see a clash of styles. Brazil have become a tough defensive machine under fashionista Dunga whereas Chile are clearly gung-ho under Bielsa. Bit unfair on Brazil as they can turn on the style at will but in my opinion, Lucio and Felipe Melo are the representatives of their new defensive style. No nonsense possession football. Their group was tough and they are fully prepared for the knockouts. The Ivory Coast game showed their prowess for goalscoring. Chile are without doubt my favourite team at this World Cup. The only team to use the 3-3-1-3 formation. Fluid counter attack style football make them a menacing side. But they will need to cut out the bad tackling, which like the Spain game will be forced by them as they press the Brazillians. The best players for Chile so far have been Alexis Sanchez and Mark Gonzalez, both men terrorising their full-backs. Japan have also quietly gone about their business. They were good against a weak Cameroon side, narrowly beaten by the Dutch before stunning against Denmark. Keisuke Honda is the key man for them after dispatching his superb free-kick. The midfield has been outstanding for Japan. Endo, Honda and Hasebe are the driving force in midfield and they have to control the game if Japan are to win here. An Iberian derby to finish. This is arguably the closest game to call. Spain have proved themselves to be vulernable, after the defeat to Switzerland. Both soon after, order was restored, although they started slowly against Chile, ultimately they were the better team. The pre-tournament favourites face a tough task here, but a familiar enemy in Portugal, who’ve performed much better than I though they would (even with two 0-0’s). 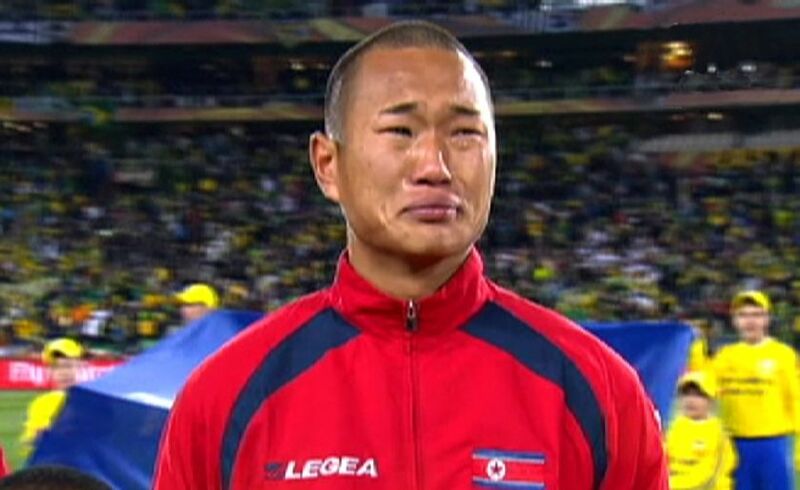 Their 7-0 demolition of North Korea proved that up-front they can overpower weaker teams. Against Spain that’s not going to happen but I see them scoring. Defensively Portugal have looked immaculate, yet to concede. Fabio Coentrao has been magnificent but Raul Meireles has performed way above the levels I thought he could. Given space, he could punish the Spaniards. 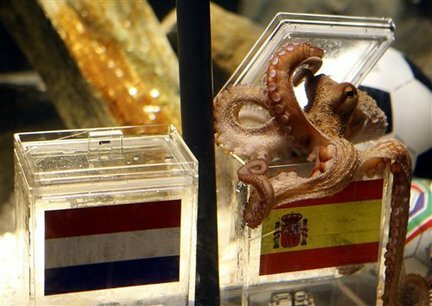 If Puyol and Pique hold steady, then Spain should win this. But not comfortably. So there we are, the last 16 teams left have been previewed and there some terrific ties in prospect. I leave you with my favourite match so far. Slovakia Italy. Truly remarkable game. 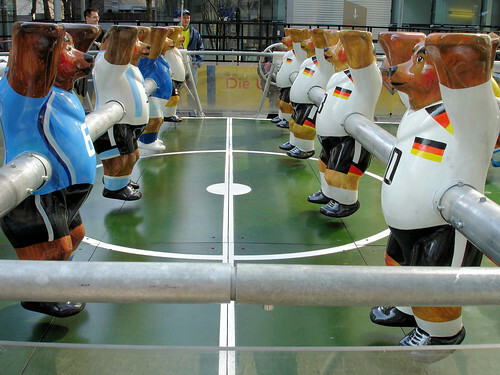 Nobody can deny that in international history, Germany are always among the front-runners. The Germans hold an impressive pedigree having won the World Cup three times, finishing runners-up on four occasions and having made the Quarter Finals in 14 of 16 appearances. The reason for this winning mentality: belief and efficiency. Even when critics have written them off, Germany manages to produce the goods. So what of this year’s injury-ridden squad. Can they live up to their predecessors? The injury to captain Michael Ballack has clearly hit Germany hard. He’s arguably been the best German footballer of the last decade, with almost 100 caps for his country. This season he’s been given more game time at Chelsea, with Michael Essien out injured, and he’s shown the quality that made him one of Europe’s best players. Seeing him leaving the Wembley pitch at the FA Cup Final, you could see immediately that he knew he was out of the tournament, A real shame for someone who wants to eradicate the memories of previous World Cups, especially in 2002 when Ballack missed the final due to suspension. The captain’s armband has been given to full-back Philipp Lahm, who’s improved a lot in the past few years. His first responsibility was to calm down the media hysteria over the plague of injuries. But it isn’t just Ballack that won’t be on the plane to South Africa. Leverkusen’s keeper Rene Adler will miss the tournament after picking up a rib injury last month. His club team-mate, midfielder Simon Rolfes, who hasn’t played since January has lost his fitness battle as well. Add to that injuries to Schalke’s Heiko Westermann, who was impressive in qualifying, and Stuttgart’s young midfielder Christian Traesch has seen Joachim Low effectively have his squad picked for him. Although the first-team is largely unaffected, Low clearly has a large gap to fill in the centre of midfield if Germany are to be considered amongst the rest of the favourites. However, over the past year, the Bundesliga has seen a wealth of talented midfielders emerge, and consequently made the rest of Europe take more notice in the league itself. Several of these players hold dual nationality. Werder Bremen’s young attacking midfielder, Marko Marin for example was born in Yugoslavia and expects Serbia to be their main rivals in Group D. He’s often compared to Joe Cole by scouts, being fairly adept in the attacking midfielder role. Similarly, his team-mate Mesut Ozil (who’s half Turkish) has received rave reviews, and has been linked with a post World-Cup move to Arsenal. It is clear that if the younger players perform well, their stock in the transfer market will sky-rocket. Low has several options up front available to him but it seems certain that Lukas Podolski will be on the left and Thomas Muller on the right, with the experienced but out-of-form Miroslav Klose in the centre. Klose tends to be prolific at World Cups, with 5 goals in each of the last two tournaments. More worryingly for Low seems to be his defence. Only Per Mertesacker and newly appointed captain Philipp Lahm hold experience at international level, although Jerome Boateng is held in high regard at Hamburg. Low’s key problem is finding another full-back to complement the defence. Erratic and now retired goal-keeper, Jens Lehmann spoke out against the lack of experience, especially in the keepers, in the German national team. It’s fair to say that they haven’t found an adequate replacement goalkeeper since Oliver Kahn, but with so many great young outfield players coming out of the Bundesliga, the negativity from former players doesn’t exactly help the team. If German fans finally show some optimism towards the array of youth on show and get behind the side, like on home soil in 2006, then they should do very well. Never count out the Germans, their record speaks for itself. And failing that, a penalty shootout always serves them well.